The Dalmatian is a beautiful dog breed that has various markings all over its body. This Dalmatian, named Wiley, is special however. 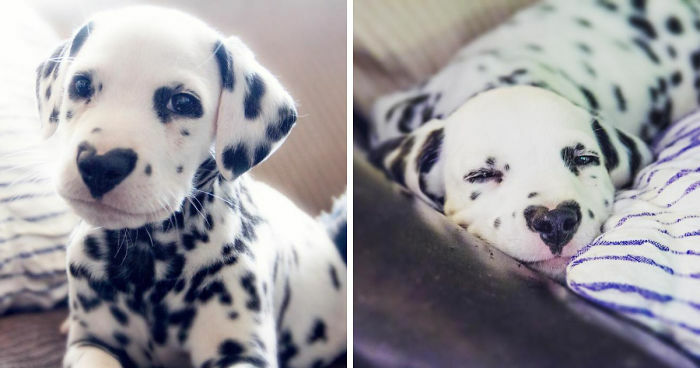 Upon arrival at his new home, he immediately caught the attention of his new family because one of his spots was totally unique – it formed an adorable heart around the puppy’s nose. Scroll down to see him for yourself, but we must warn you – it can melt your heart! Jaw drops as he sees the socks have Dalmatians on them. Hello I'm Wiley and I'm ready to answer all your questions about cuteness and being a good boy. Sweet dreams for this adorable little boy. Perhaps the heart we see, is a symbol of Wiley's heart filled to the brim with love !!! Did I hear you say walk ? My mum loves me and I know it. I love his little spotless head! First prize in all categories, hands down !!! Love, love, love this adorable puppy! Wiley is so adorable!! 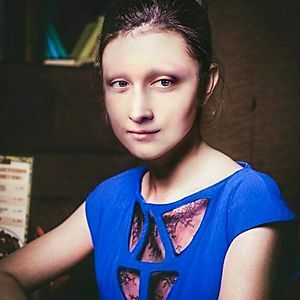 Every photo, is a treasure to have!!! How can you not hold me! I can not believe my eyes, I wonder how long he sat there. Wiley looks so calm and content, must be loved a lot ! Wiley is extremely photogenic ! Mama, I'm ready for my close up!! So relaxed, after playing in the park, thanks mommy ! First bath, not a problem ! This boy with the heart, is melting hearts everywhere !!! Getting ready for his bath, he has his towel. I love the concentration of his spots on his chest. "Just try to take it! " Best friend, and playmate ! Somewhere, a bag must have been rustled. Sharp canine senses have been activated. Wiley looks like he's teething! Oh no Tired and Cranky Not a good combo! Look at his little pink mouth! But mommy, I am not tired enough for bed !!! Crumb removal service. Discrete. Blends into the background. Cookies accepted as payment. Why so sad little boy? You can have a treat when we get home! It's funny, but when I was a little kid, I made up short stories in pictures about a dog, covered in large heart-shaped spots. I simply called him Heart and his friends, a cat and a mouse, I called Star and Circle(yes, they also had spots according to their names). It would be 2 years after my obsession with heart, that I truly started being interested in different breeds of dogs(maybe I was 6-7). I watched Dogs 101 and it was then, that I tried to figure out what dog breed's picture I had seen at the age of 4, that made me invent Heart. I suspect he was originally drawn to be a hound(a beagle, maybe and definitely not a basset hound, Heart was a quick dog). However, I never exclude the chance that I tried to shape him to resemble the local Dalmatians, which were quite popular at the time. Heart had the same spot on his nouse as little Wiley. Damn, now I'm so sad that there are only 2 Dalmatians left in my region(4 neighbourhoods)! They are such lovely dogs and Wiley is the best! OMG he is absolutely adorable!! That is One Cute little Damnation! My wife and I used to raise them, and they are all different looking. This little child fellow is going to go places. I love it!